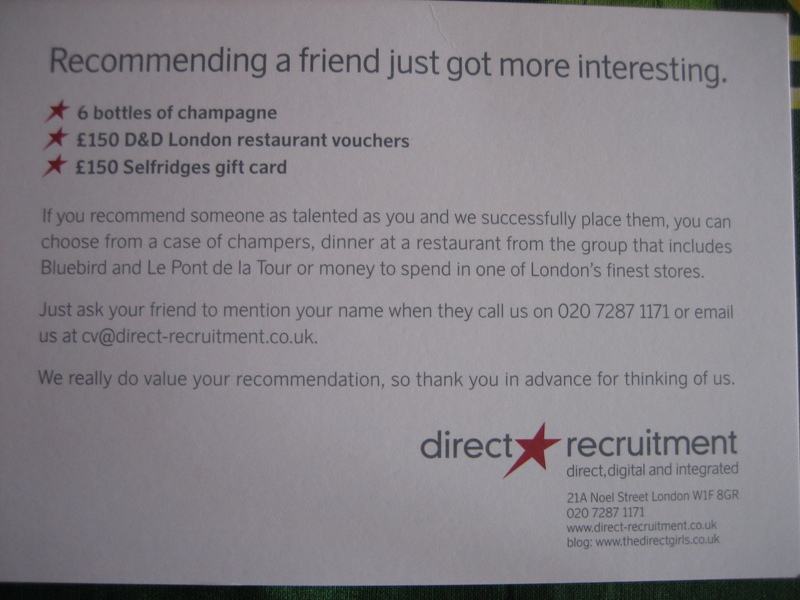 About ten years ago relationship marketing was in vogue. Marketing departments were abuzz with the talk and the promise of relationship marketing. And I noticed Seth Godin’s Permission Marketing in many a marketing department. Since then the word relationship has been jettisoned and today we are left with customer marketing, customer life-cycle marketing and CRM (marketing). Why? I believe that many who started on the path of relationship marketing have collapsed two distinct categories of marketing into one. In one form of relationship marketing you use marketing to cultivate and grow relationships – the emotional bond between you and your customers. This form of relationship marketing I refer to as Relationship Marketing: it is the real deal – at least in my book. In the second form of relationship marketing you use the ‘relationship’ – the customer life-cycle, the customer journey – to organise and execute your marketing to customers. This second form of marketing is simply a different, perhaps a cleverer, way of doing direct marketing. Whilst it may drive up response (because of getting the timing right) it does not necessarily increase the bond between you and your customers – that is to say that it does not strengthen the relationship and increase loyalty. This form of marketing is best described as Customer Marketing or Customer Life-Cycle Marketing. It is a shame that so many marketers have settled for Customer Life-Cycle Marketing rather than Relationship Marketing. I get lots of direct mail and I throw most of it away before opening it up. I am on the Dell database (as I bought a computer from them many years ago) and they continue to send me a catalogue. When I receive it, I throw it away. I am a Sky (pay TV) customer and part of their customer marketing database. So I receive the magazine, I read it and then I put it in the bin. The magazine does not build any emotional loyalty between us. Practiced correctly, Relationship Marketing packs an emotional punch, generates a memorable experience and drives up customer engagement and loyalty. Allow me to share an example with you. On touching the card I realised it was a top quality card and I was immersed in trying to figure out which of my considerate friends had been the first one to send me such a fine card. 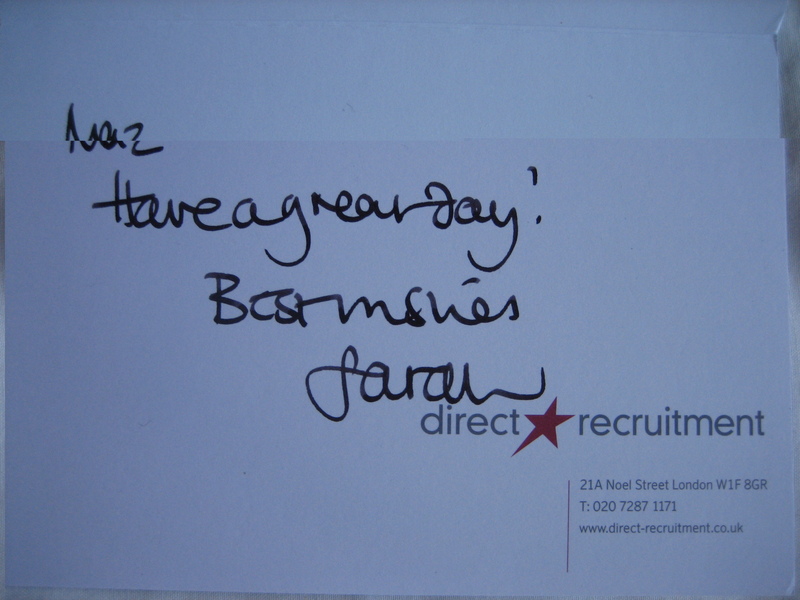 So I opened up the card and was greeted with a handwritten personal greeting from Sarah Owen who runs the Direct Recruitment agency. I was surprised and delighted at the same time. Sarah and I met back in 2007/2008 and each year she sends me a birthday card and each year it comes as surprise. No other company remembers and celebrates my birthday – arguably the most important day of the year for me. 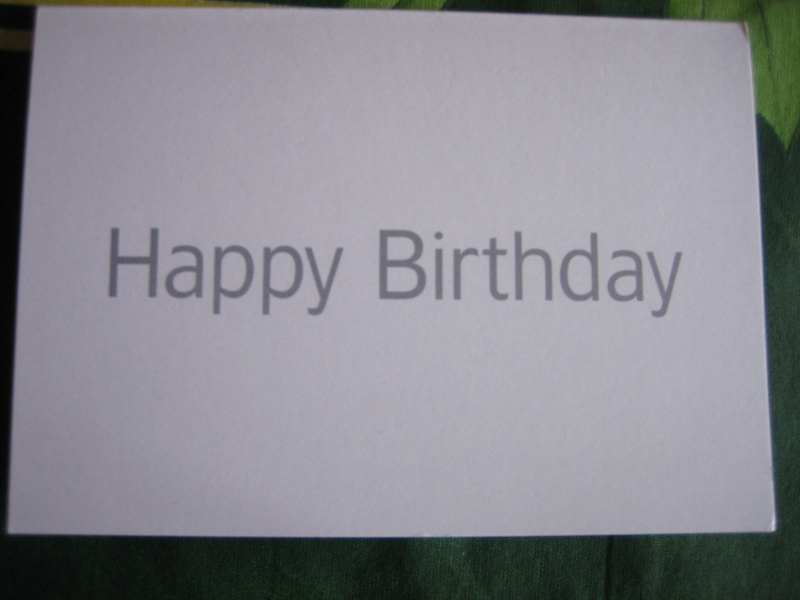 Once I came to grips with my surprise and my delight I noticed the third piece of the card – see below. What Impact Did This Have On Me? Frankly, I feel valued both as a human being and as a professional. And in return I value Sarah and Direct Recruitment. More than that I feel indebted to Sarah and I feel a desire to find opportunities to refer people to Direct Recruitment. I have absolute confidence in their professionalism. Indeed I have phoned Sarah to thank her. There is a wide open space to deliver knock-out customer experiences for your customers through Relationship Marketing. That means using marketing to build relationships by creating emotionally engaging customer experiences that matter to your customers. How about using special occasions like birthdays, Christmas and anniversaries (first time the customer bought from you)? Relationship marketing should not be in taken for granted. treat you client or customers nicely as part of the marketing and eventually with the good experience on product or quality they have with your company they would keep on coming back. Previous Previous post: Does marketing deserve a seat at the Customer Experience and Customer Centricity tables? Next Next post: Do you care about your customers? Suzanne from Sky does and that I why I love her!